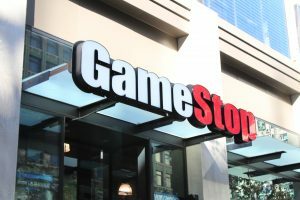 And while high-quality signage boosts sales and drives customers in your store, badly made ones do the opposite and drive potential customers away. The key is to make sure that your retail signs are attractive, strategic, and professionally made. And Saber Sign Solutions can do exactly that. 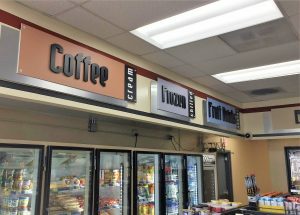 Saber Sign Solutions is a proven signs provider that specializes in the design, production, installation, and maintenance of retail signs. WIth its wide array of sign, material, and design options allow your business to select the exact sign type and visual appeal that best suits your brand personality, business need, and allocated budget. Catch the attention of potential customers from far away with stunning outdoor retail signage by Saber Sign Solutions. Whether you need large banners, pylon signs, outdoor LED signs, teardrop banners, monument signs, or feather signs, we’re sure to have the sign that can advertise your brand to drivers, onlookers, and pedestrians. Our expertise in the field of retail signage makes it easier for your potential customers to notice your brand as wells as know how to get to your establishment. Saber Sign Solutions also has a strong team of graphic artists who can help provide aesthetic and strategic sign design and layout, drawing in more customers and also advertising your brand 24/7. 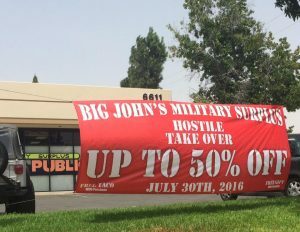 Saber Sign Solutions’s outdoor retail signs can help tell potential customers that they’re at the right place and that you have what they’re looking for. With options such as illuminated building signs, blade signs, awnings, dimensional letters, window decals, A-frames, and many more, we can help give your business an impressive introduction to potential customers. Saber Sign Solutions has been successfully providing personalized, made-to-order projects to our clients, and we take pride in the fact that our workmanship has helped businesses grow and flourish. We can’t wait to deliver the same quality for you! 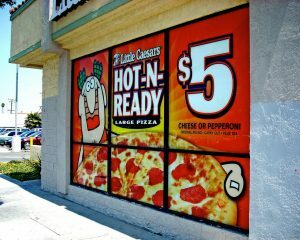 So your outdoor retail signs have done their jobs and have brought potential customers in through your doors… now what? Your next challenge is to convince your guests to buy what you’re selling. Well, Saber Sign Solutions has got you covered with our marketing know-how and high-quality indoor signs. By partnering with Saber Sign Solutions, you’re sure to have signs that not only look good, but also tastefully and effectively do in-store advertising. Our signs can introduce products, announce promotions, give information, and offer subtle reminders…all these drawing attention to the need and benefits of purchasing your products or services. Saber Sign Solutions has been in the sign-making industry for many years, so we know how critical a single retail sign is for your business. 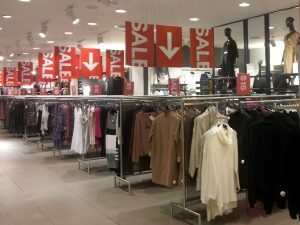 This is exactly why we strongly encourage you to get them done by a reliable signs provider that knows the hows and whys of retail signage. Saber Sign Solutions is exactly that. We’re not just a team of sign-makers, Saber Sign Solutions is composed of graphic artists, project managers, engineers, materials specialists, sign technicians, and marketing experts. We don’t just give you generic, mass-produced signage…Saber Sign Solutions is committed to giving you the retail signs that are a perfect match to your brand identity, your target audience, and your business goals. Are you looking for retail signs that perfectly sums up what your business is all about? Saber Sign Solutions can offer you signs that can help give your brand a cohesive marketing message, and eventually bring about remarkable customer experience. Call Saber Sign Solutions today at (512) 861-2699 for your Free Consultation with a Retail Signs Expert!